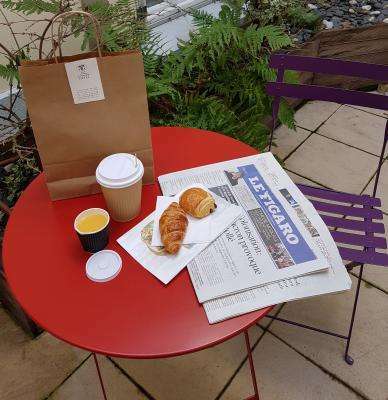 If you are in rush, trying to catch the first flight in the morning, think about our breakfast-to-go to start the day. The hotel Passy Eiffel offers a delicate alternative composed of a coffee, an orange juice, one croissant and one pain au chocolat. For more information, ask the reception, we will be more than pleased to help you.